It looks like celebrating is the furthest thing from Pippa Middleton’s mind these days especially now that word has leaked that Viking Press has dropped her from their line up. Originally, Kate Middleton’s sister intended to cash in on her sister marrying the future King and her family’s party planning business by publishing a series of books that would serve as simple how-to guides for those needing a bit of help. Unfortunately, Celebrate, the first book only sold about 18,000 copies making it pointless for Viking to continue their relationship with Pippa. When the deal was first inked Pippa was super popular and in demand because it was right after the royal wedding and initially people seemed to expect her to be as famous as Kate. Obviously, that never actually panned out and as her writing career seems to crash and burn, rumor has it that Pippa is placing blame squarely on the royals. It’s no secret that everyone wants to hear about what it is like to be Kate’s sister and to have Prince William as a brother-in-law. Pippa has a front row seat for all of the dysfunction that swirls within the royal family but she is absolutely banned from ever mentioning it to the press. 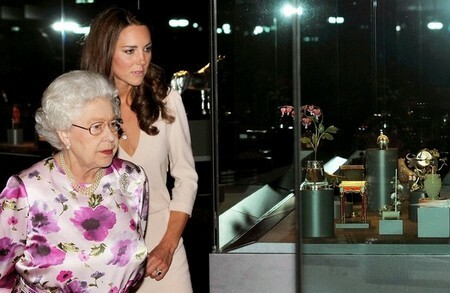 Queen Elizabeth would simply lock the upstart in The Tower of London should she spill the royal gossip. If Pippa could comment even a little bit then the interest in her would return and it would give her a leg up in any project that she wishes to pursue. Instead she’s left to work based upon her own skill and merit and it’s obviously not turning out so great for her. Do you wish Pippa could give one exclusive interview about the royals? Tell us your thoughts in the comments below!